Spectacular animal observations in the luxurious Kariega River Lodge. 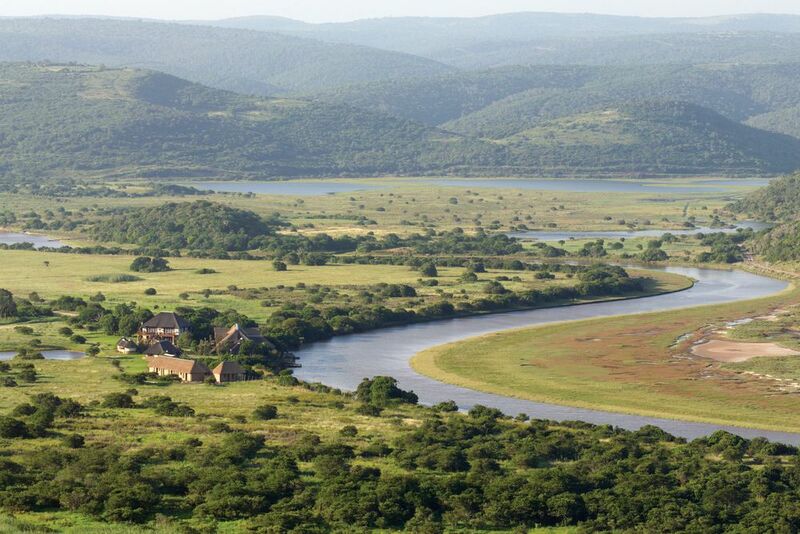 The Kariega Game Reserve: 10,000 hectares of land with over 5 different ecosystems. The Kariega River Lodge is located right at the Bushman's River. 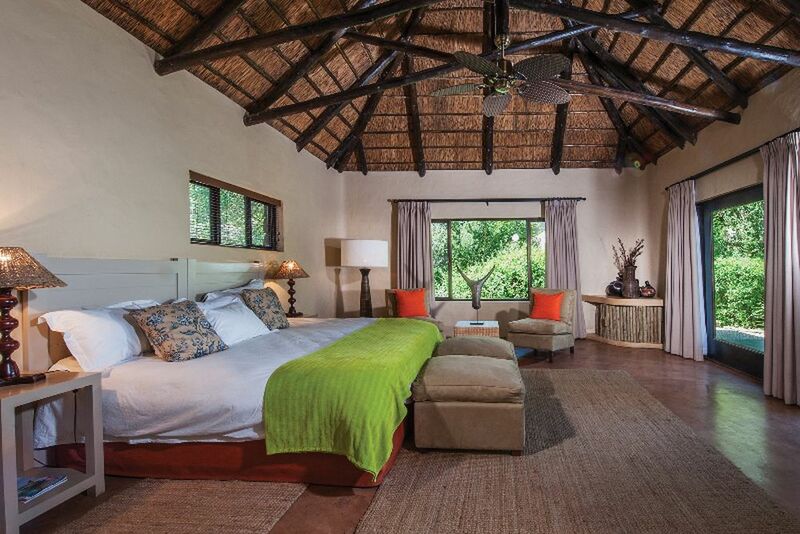 Every single suite offers exclusive, African ambience! 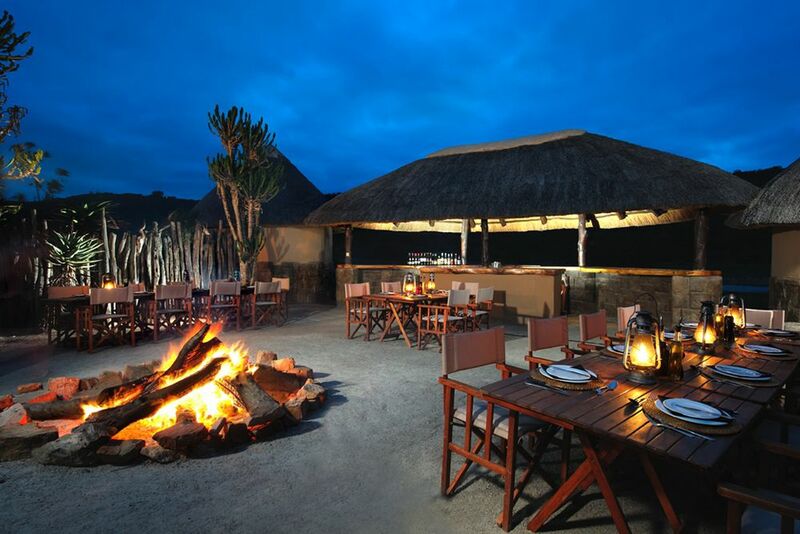 Enjoy replenishing moments after thrilling safaris. Traditional details meet African flair in the lounge. Relax with an impeccable view. Discover Africa's fascinating animal world whilst indulging in exciting wildlife observations! The outdoor pool invites you to relax and enjoy its wonderful view over the area. End the beautiful day by the romantic bonfire! Adventure to the breathtaking lands of the malaria-free Kariega Game Reserve for an unforgettable holiday. Fantastically located on the Bushman River, The River Lodge offers spectacular views, endless adventures, and individual tranquility. Located in the South African province of Eastern Cape, the Kariega Game Reserve lies at the end of the beautiful Garden Route. 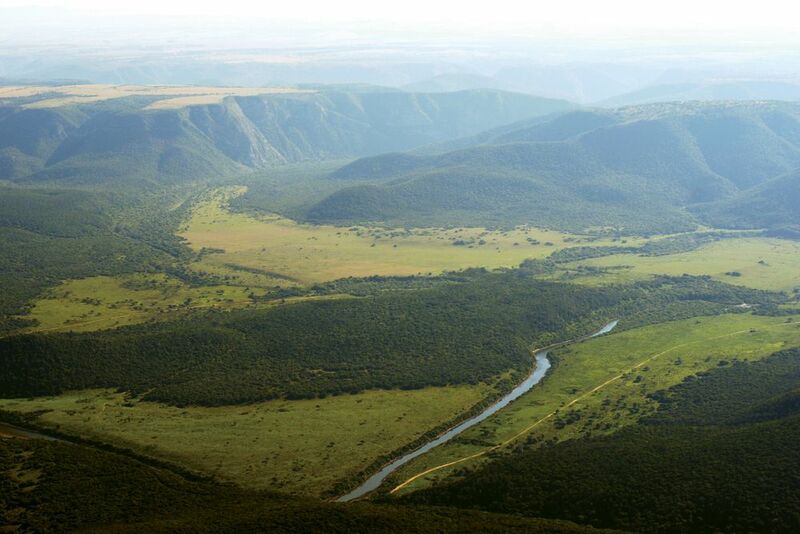 The Kariega and Bushman’s rivers run through the reserve, providing stunning views. Inspired by the vision of one man, Colin Rushmere, as well as the passion and energy of two families for nature, Kariega has been offering its guests the opportunity to let themselves be captivated by the secrets and magic of Africa. The malaria-free, family-run private game reserve covers almost 10,000 hectares of pristine wilderness, extending over 5 different ecosystems. 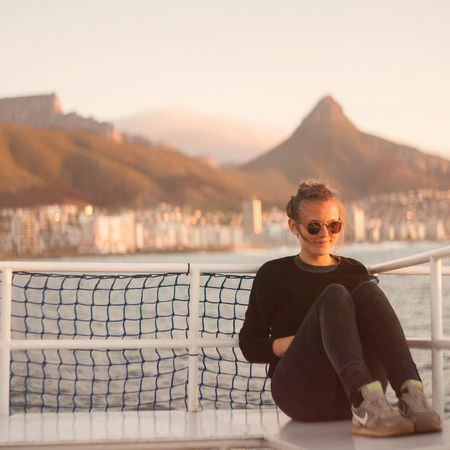 Because of its perfect location amongst the rivers, guests can discover forest, bushveld, savannah grassland, fynbos landscape, and acacia forest areas. Kariega boasts an incredible variety of animals because of its pristine natural reserve. The reserve is home to more than 25 species such as lions, elephants, leopards, buffaloes, rhinos, hippos, hyenas, giraffes, zebras, gnus, waterbucks, Nyala and kudu antelopes, warthogs and more than 280 species of birds. 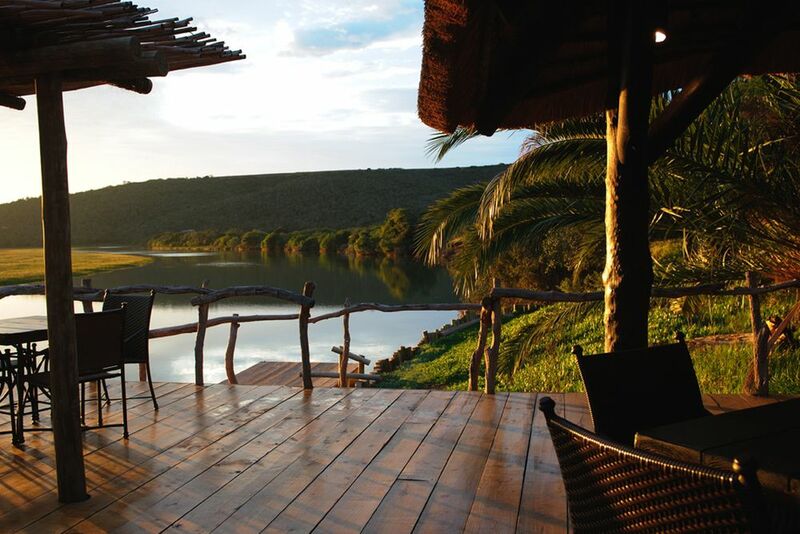 The Kariega Game Reserve includes four 4-star lodges. 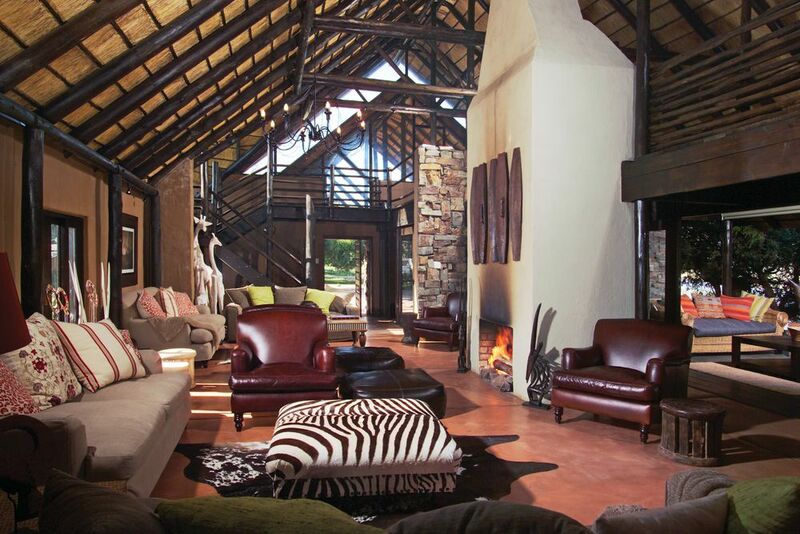 In August/September 2014, they even added a luxury tent lodge amongst the reserve. 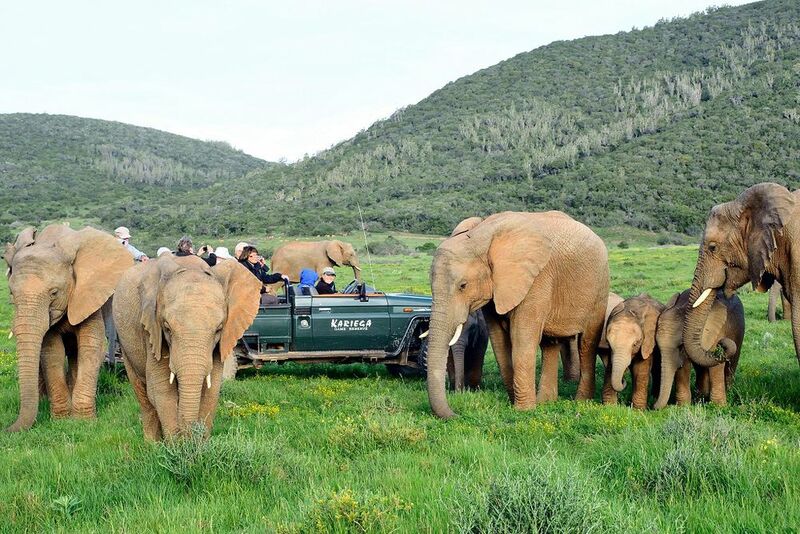 Thanks to Kariega, you also have the chance to experience the whole spectrum of the fascinating African wildlife on a trip through South Africa. Pouring out only unique experiences and incredible hospitality, the River Lodge is a holiday you do not want to miss out on. 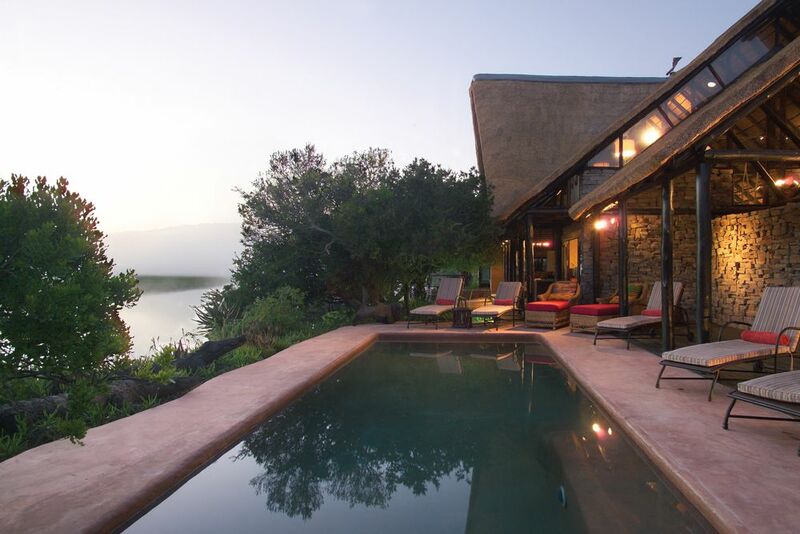 The lodge is located on the banks of the Bushman's River and comprises of 10 suites that wind along the water. The lodge offers exclusivity, comfort, spectacular views, and a stunning outdoor pool. 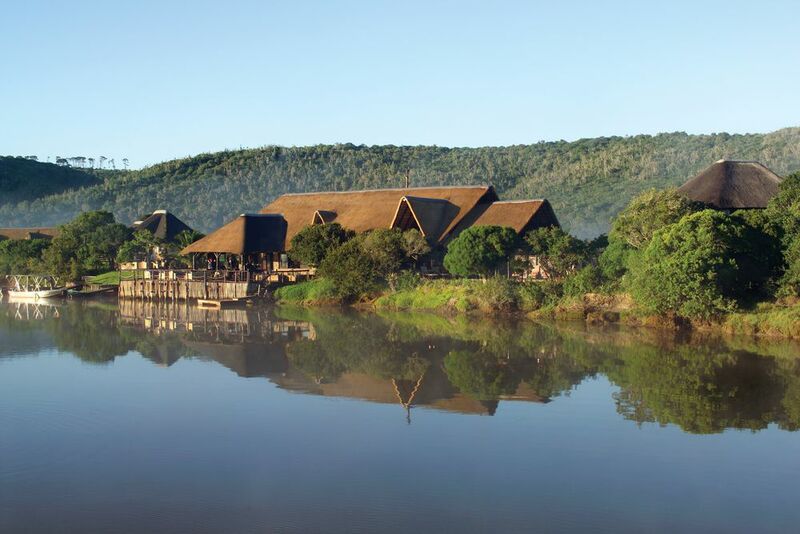 Find luxurious peace and indescribable tranquility whilst staying at The River Lodge. Connected to the sea, the lodge offers various activities, including daily boat trips on the rivers to the beach and safaris throughout the reserve. 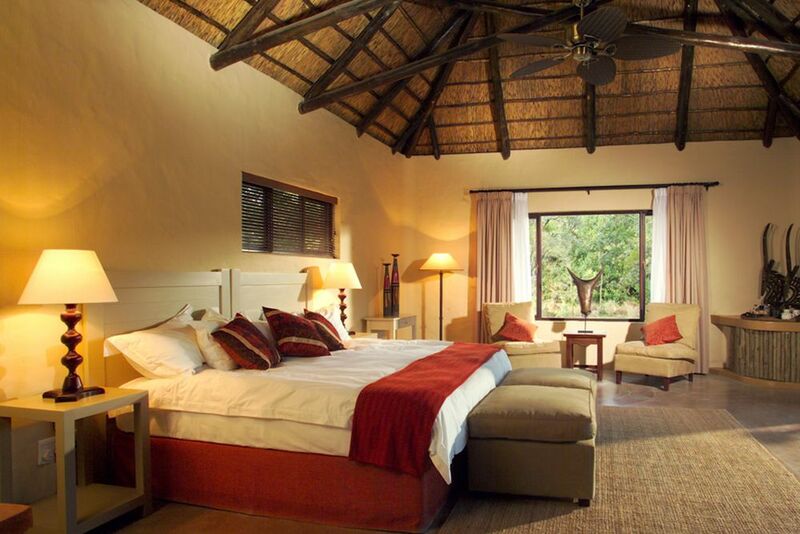 Meandering along the banks of the Bushman’s River, the 10 thatched suites are air conditioned and tastefully appointed. Offering a one-of-a-kind experience, the suites offer even the most discerning guests luxurious peace and tranquility. The 60 square meter suites are equipped with ceiling fans, tasteful African design, spacious bathroom and shower, hair dryer, bathrobe, telephone, air conditioning, minibar, coffee/tea maker, and a private veranda.